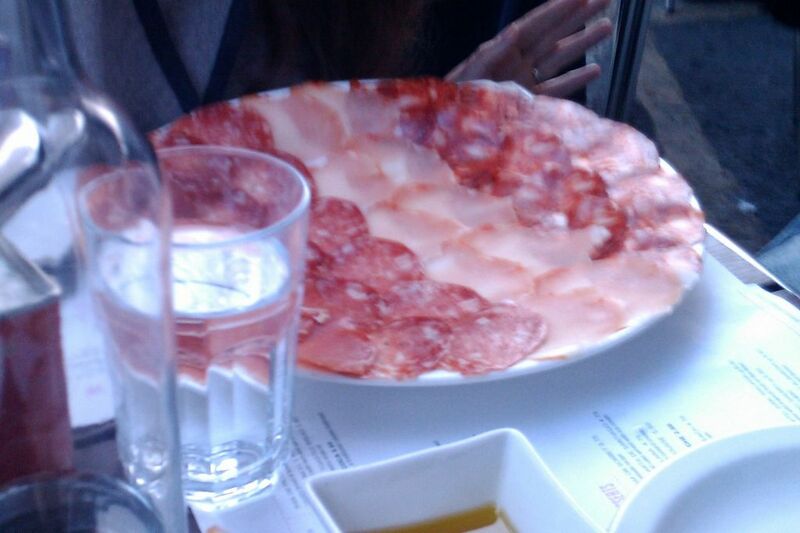 Tapas Brindisa – Me gusta! 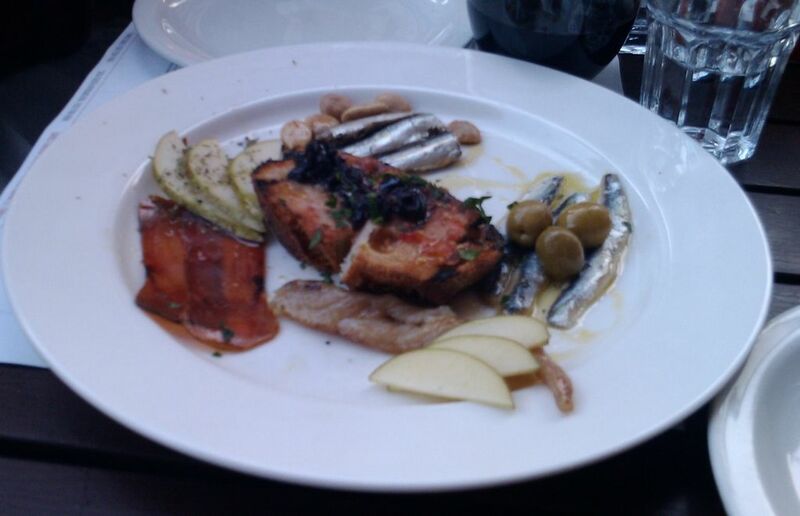 Just been to Tapas Brindisa in Borough Market again. It’s always reliable. You can not book, so it is all about timing. We arrived at 7.00 p.m. to be told that it would be a twenty minute wait (what ever they say always wait – have a drink in the rather cramped bar area), we actually got our table in less that 5 minutes. 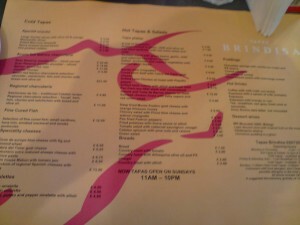 The menu is tasty and varied, and service is brisk. 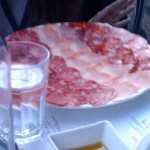 The charcuterie is always a good option and they do a nice goats cheese in honey. The seats are not very comfortable (I guess that is good business practice to ensure a quick turn over), the tables are so close together that you inevitably end up having conversations with the people at the next table, mainly about the food, it’s just that sort of place. 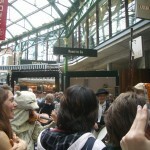 UPDATE – September 2011. Still as good as ever, we sat outside on a warm evening and enjoyed a few old favorites and some tapas dishes I had not had here before. The Ham Croquettes were especially good but the fish plate would have been better with more fish and less apple garnish. 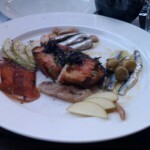 Author No ExpertPosted on August 16, 2009 September 1, 2012 Categories Inexpensive, London, Out door seating, UKTags Borough Market, Brindisa, TapasLeave a comment on Tapas Brindisa – Me gusta! 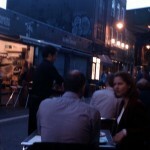 There are lots of restaurants to choose from in the Southwark area. I have listed a few of my favorites. 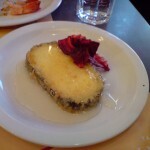 Del’Aziz – Mediterranean Delicatessen and Brasserie, good venue for Cakes and Brunch. 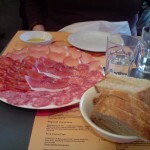 Delfina – well cooked, quality food. Open for breakfast and lunch, occasional evening openings. José – José Pizarro’s tiny Tapas bar in Bermondsey Street. The Table – Tucked away a couple of streets behind the Tate Modern, it’s ideal for late Breakfasts and Brunch. 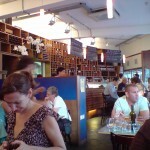 The Hide Bar – excellent selection of wines, beers, spirits and cocktails, it also does regular wine tastings. 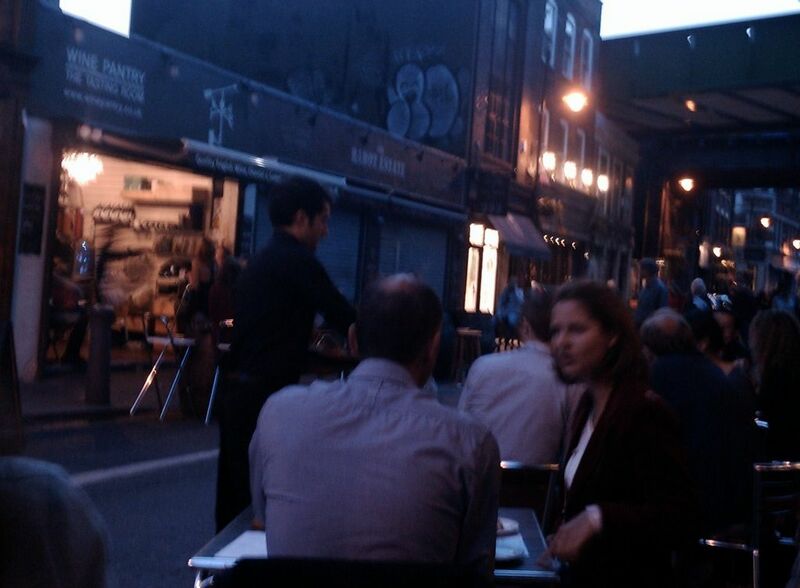 Village East (171-173 Bermondsey Street) – Good venue for carnivores, a popular place that does excellent steaks. Vinopolis – There are several restaurants in the “City of Wine”. The Cantina Vinopolis is the best one in my view. Zucca – Bermondsey’s answer to the River Cafe. Roast – gets a roasting! My first visit to Roast was just a few days after it opened and I enjoyed the experience, it is a stunning venue, in a lovely building overlooking Borough Market. 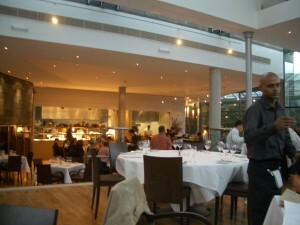 A later visit for Sunday lunch was disappointing, as the food was very ordinary, almost pub quality I would say. 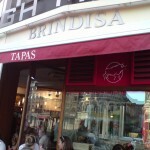 I would not call this a “destination” restaurant, but rather one that you might just go to if you were in the area and wanted to escape the hustle and bustle of the market, personally though if I am in Borough Market I would go to the excellent Tapas Brindisa instead and get in the queue. 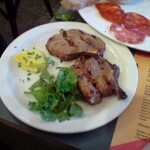 Author No ExpertPosted on February 10, 2009 March 12, 2011 Categories London, UKTags Borough Market, Brindisa, RoastLeave a comment on Roast – gets a roasting!